The 1996 welfare reform legislation, which established the Temporary Assistance for Needy Families (TANF) program, sought, among other purposes, to move recipients off of welfare and into work and to prevent long-term welfare receipt. 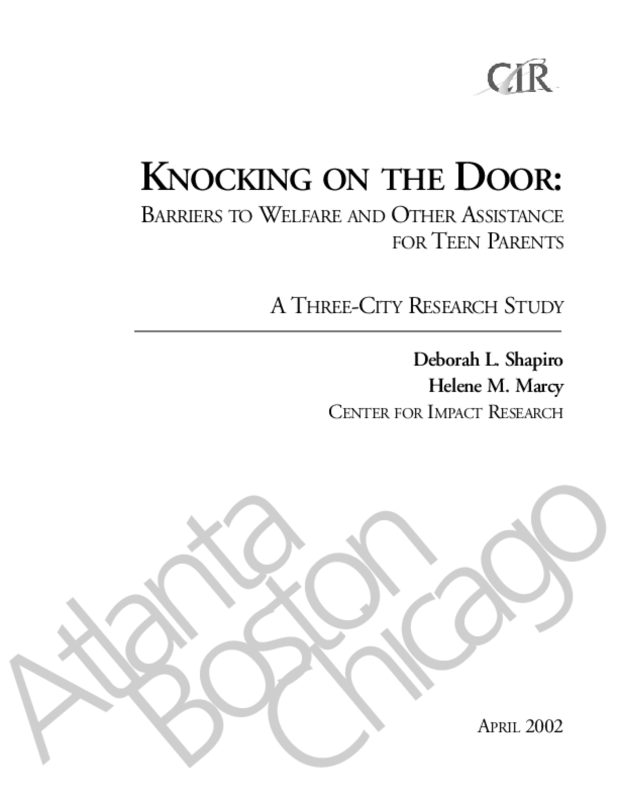 Policymakers recognized that concentrating on teen parents was an important part of tackling the problem of long-term receipt of welfare: although teen parents represent only about five percent of the overall TANF caseload, historically about 50 percent of adult welfare recipients began parenting as teens. The legislation adopted a new approach for minor teen parents, creating two major requirements -- commonly known as the "living arrangement rule" and the "stay-in-school rule." The first required unmarried, custodial teen parents under age 18 to live at home or in an adult-supervised setting, and the second required that they participate in school or approved training until obtaining a high school diploma or General Educational Development (GED) equivalency diploma. In the years since 1996, some states have reported greater declines in the number of teen parents receiving TANF relative to the general caseload declines. Limited qualitative information indicated that some teens were being turned away at local TANF offices, without having the opportunity to complete applications -- that is, they were knocking on the door but not getting in. Because TANF can have an important role in helping low-income teen parents stay on track towards economic independence, this information alarmed teen parent advocates and led the Center for Impact Research (CIR) to conduct a collaborative survey project in Chicago to determine what was happening to teen mothers who were in need of assistance. The Chicago survey was replicated in Boston and Atlanta, and this report highlights the collective findings across the three sites. In conducting the survey, CIR intended that about half of the respondents in all three sites were current recipients of TANF assistance and half were not.